China’s most advanced dredging vessel — which it calls “a magic island-maker” — returned to a shipyard in Qidong, in eastern Jiangsu province on Tuesday after completing its first sea trial, state-run media said Wednesday. The vessel, the largest of its kind in Asia and the same type used to create several China-held islets in the disputed South China Sea, underwent testing of navigational aids such as its radar and gyrocompass during the four-day trial, the official Xinhua News Agency said. More than 120 staff, including vessel crew and engineers, took part in the tests. The 140-meter-long vessel, known in Chinese as the Tian Kun Hao, can dig as deep as 35 meters under the seafloor and dredge 6,000 cubic meters per hour, the report said. The vessel is expected to be delivered to Tianjin Dredging in August. 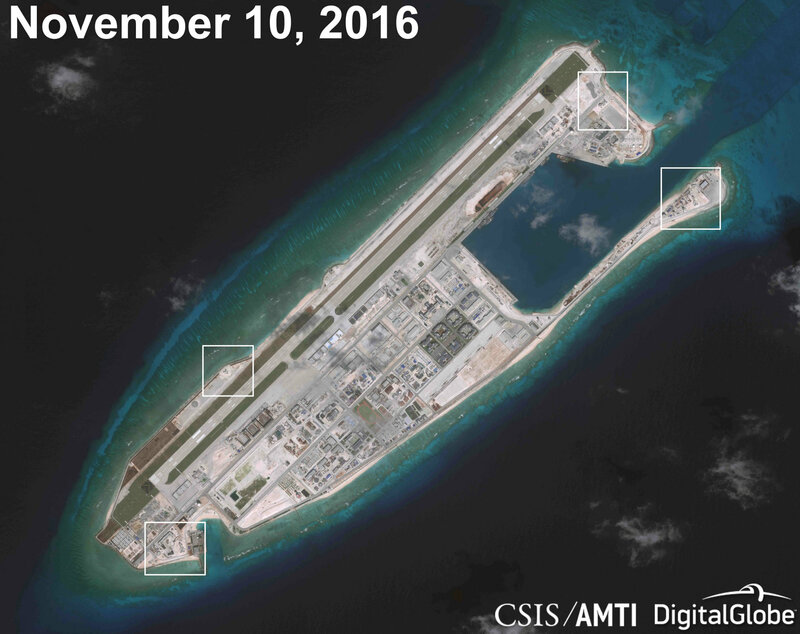 Beijing has faced criticism from neighbors and outside countries alike over its massive island-building activities in the contested South China Sea. As part of what some experts say is a bid to cement effective control of the area, it used the process to construct a number of islands and add to others from late 2013 to late 2016. Some of the islets were later fortified with military-grade airfields and weapons systems. 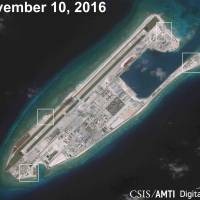 The project was later referred to in 2015 as China’s “great wall of sand” by then-U.S. Pacific Command chief Adm. Harry Harris. China has poured cash into its dredging industry over the past decade, with an estimated 200 vessels built since 2006, making it one of the world’s biggest manufacturers of dredgers, according to media reports.